Me, watching my hairdresser do my hair: that doesn’t look that hard! If you’re like us, you’re on a never-ending quest to recreate the same things that your hairdresser in the salon from home. Depending on your hair type and your hair goals, there are so many tools to choose from. At InStyler, we always recommend looking for a great hair straightener brush if your hair is naturally a bit tangled and frizzy. This is because, in comparison to your average straightener that just has the heated plates, a brush includes an extra layer of smoothing and polishing each time the tool passes through your hair. 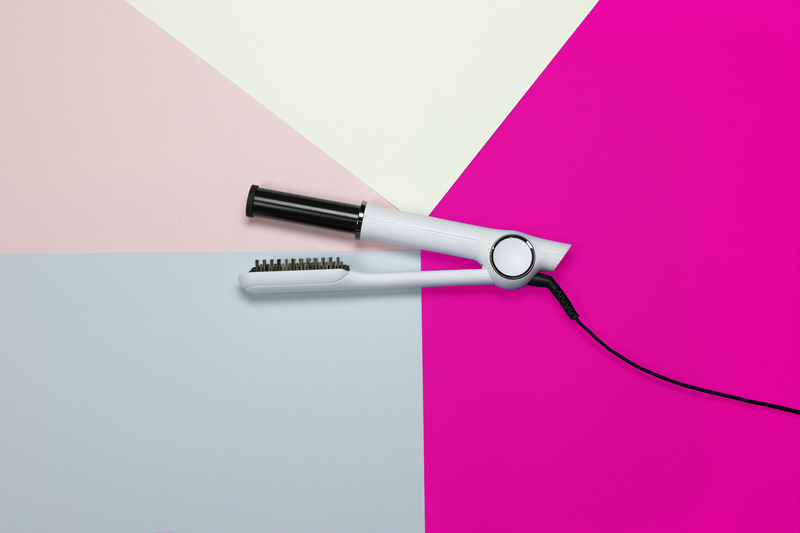 Ceramic straighteners are the crème de la crème of hair styling. This is because ceramic technology is superior when it comes to its heat distribution, styling results, and being the less-damaging option on hair. Ceramic emits infrared heat, which is more gentle on your hair than direct heat. This heat gives off negative ions to counteract the positive ions in dry, damaged hair. The result is sealed-in moisture and helps support the development of silkier, smoother strands. If you change your hair color as much as the seasons, color your grey hairs regularly, or suffer from general damaged hair, a ceramic straightener should definitely be on your wish list. InStyler’s range of ceramic tools means there is something for everyone. The award-winning GLOSSIE Ceramic Straightening Brush is perfect for medium-long hair with medium-thick texture. The exclusive Precision Press helps to eliminate flyaways and frizz with each pass. FREESTYLE Ionic Ceramic Styler is perfect for short hair and can remove frizz, add shine, and easily help you get volume at the root. AIRLESS Blowout Revolving Styler, nominated for the Allure Reader’s Choice Awards, is the perfect ceramic tool for you if you are looking for something more versatile. You have the ability to do a classic blowout style or add curls and waves with AIRLESS. While women with thick hair are often advised to use titanium irons due to the fact their hair requires more heat, AIRLESS is a safer alternative to prevent hair damage and works extremely well for all hair types. Ceramic plates on hair straighteners and other hair styling tools allow for even heat distribution, fast delivery, and helps reduce frizz making them the best choice for all hair types. If you want a look that includes long-lasting shiny hair, consider a hair straightening brush that offers lots of power. GLOSSIE offers 65 powerful ceramic heated plates that section off and style your hair with each effortless pass. In addition, this award-winning hair straightening brush with its exclusive technology known as The Precision Press™, allows for maximum tension to efficiently straighten hair from tip to root. With so many products on the market, it’s important to read the features that make a difference for you. If you have thick, natural volume, you might not need a tool that focuses on easily buildable volume. If you have naturally frizzy hair, try to compare products side by side to see what tool features help to combat frizz. 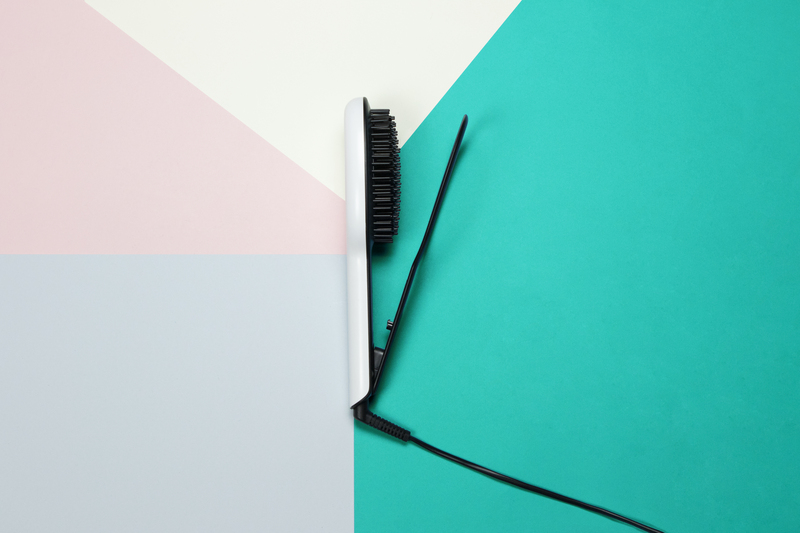 GLOSSIE Ceramic Styling Brush is the PERFECT tool if you suffer from frizz because of the precision press arm, and has four heat settings up to 450°F. To easily add volume, opt for AIRLESS or FREESTYLE which make adding body and volume easier than ever. If you are looking for a hassle-free way to smooth your hair and give it a frizz-free, shiny look, GLOSSIE or AIRLESS are ready to step in and be your new BFFs. Ceramic hair straightener brushes and revolving stylers will give you that amazing salon look within the convenience of your home, for a fraction of the salon cost with all of the salon style.